Bringing care straight to your home. 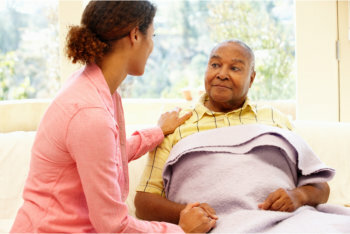 Here at Home Helpers, our Home Care Services begin with creating a customized care plan that fits our client’s needs. With this service, we make it our goal to help improve the quality of your and your loved one’s life. By meeting with our clients face-to-face, we are able to understand their needs and what they expect from a caregiver. We love to go beyond the delivery of basic service, as we strive to deliver a care experience that exceeds what our clients expect. To learn more about this service, please contact us. If you have further questions, please feel free to contact us with the information provided.